Here’s a drawing I did for a company that produces educational software for children ages 3-8. I haven’t gotten the job yet, they just wanted a sample. 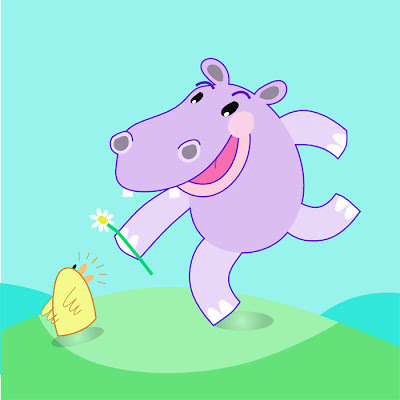 Do you like the hippo? I definitely like the hippo! The little ducking is just as awesome. Congrats on the illustration gig. Sounds fun! Thanks. No gig yet. They just wanted a sample. Yes, I love the hippo 😀 and the duckling is gorgeous! Great blog.